Artificial Intelligence (AI) is the current buzzword and brands are adopting the technology with an aim of changing critical operations. There are several critical functions that can benefit from it, and one of them is influencer marketing. AI is one of the modern day technologies that can be used for effective social media influencers’ discovery. In this regard, digital marketers need to think of AI-powered tools for influencers’ discovery. If you have followed influencer marketing closely, you must have noticed the related trust crisis. In the recent past, we have seen follower buys, perceived in authenticity and disclosure shortcomings listed as some of the challenges facing influencer marketing. This is as reported by David Yovanno in Adweek.com. 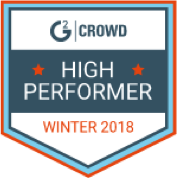 According to David, AI-Powered influencer discovery is the best approach for identifying trusted talent. On the other hand, by the end of 2017, over 78% of digital marketers reported that calculating ROI is their top influencer marketing challenge. So how can Artificial Intelligence help in handling these and other challenges faced by digital marketers when looking for the best influencers? We believe that AI-powered influencer discovery will be the game changer for modern day businesses focusing on influencer marketing. In this article, we feature how Artificial Intelligence can help a brand to effectively discover/find social media influencers. Therefore, keep reading to find out why your business needs to focus on AI-powered influencers’ discovery, which guarantees better ROI. One of the greatest challenges that marketers struggle with is predicting ROI when it comes to influencer marketing. In addition, predicting how much an influencer will cost is another challenge. One of the greatest advantages that Artificial Intelligence offers is the ability to predict. Therefore, through AI platforms customized for influencer marketing, marketers can deal with these challenges. The high profile influencers demand to be paid a fixed amount. This becomes a challenge especially for the marketers who want to measure the estimated returns so as to make a decision on whether to involve such high profile influencers. However, with AI-powered influencer discovery, this will no longer become a pressing challenge. 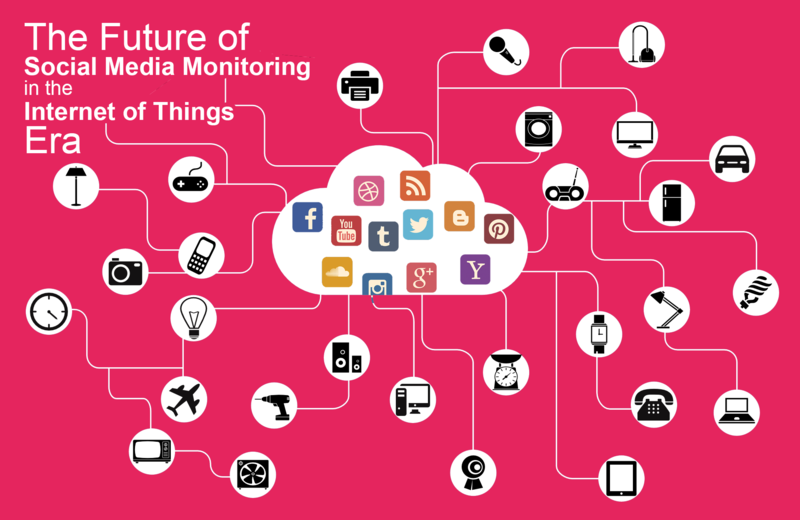 This is because, through the growing wealth of data relating to social interactions, the interaction patterns and also behavior trends, AI platforms can use predictive analytics to discover social media influencers. The AI-powered influencer discovery metrics use the above data to suggest a number of influencers that marketers can choose. Such predictive analytics will further help marketers to identify potential brand advocates, measure the interest of these influencers and their followers, and hence produce a catalog of influencers from which marketers can single out the best. Therefore, we can see that AI-powered influencer discovery platforms give brands a better potential for identifying influencers. This is by applying intelligent predictive analytics methods to ensure the establishment of mutually benefiting agreement between marketers and influencers. Therefore, say goodbye to use of manual predictive analytics in boardrooms and apply the AI-powered influencer discovery. These apply the social media data which has a huge potential for defining suitable social influencers for any business. So how does predictive analytics help in AI-powered influencer discovery? Through AI-powered influencer discovery software, the user can target specific profiles. This can be based on a number of parameters. For instance, you might choose to go for the campaign objective as a determiner of the profiles that you target. With the identified profiles, the user can choose to pull social media posts of up to six months from each of the prospective social media influencers. The statistical data is run through predictive analytics software or machine learning algorithms. The marketers will then have the ability to see the most potential influencers for their campaigns. Marketers often rely on the number of followers that social media influencers have to predict the potential reach. For instance, let’s say influencer X has 10M followers on Instagram. When Company Y is looking to increase brand engagement on Instagram by at least 7M, the company settles on contracting influencer X for the engagement campaign. Ideally, while doing so, company Y only hopes that these 10M followers that influencer X has, are interested in their products. The reality is that probably, half of these followers will not have interest in the company’s products. Then a quarter of the remaining, are already engaging with the company’s products while the rest don’t have a clue the product exists. Therefore, even by contracting influencer X, the company might not reach their target of 7M new engagements. So, how can company Y better their influencer discovery? The answer is through AI-powered influencer discovery platforms. Back to our above example, let’s say that company Y uses AI Powered Influencer discovery platform and finds Influencer Z who has 6.5 million followers. Further, through machine learning algorithms, it is clear that of these 6.5 million followers, 5 million have shown interest in the company’s products. 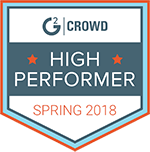 Automatically, the AI-powered platform will recommend Influencer Z. This is because the influencer has potential followers compared to influencer X who has more followers but a bigger percentage has not shown interest in the company’s products. Based on the above explanation, we can see that AI-powered influencer discovery is the best approach since it enables brands to better imagine influencers reach before contracting them. Capturing the perspectives of influencers, who aren’t only after paycheck, but also connect well with your brand, is an important initiative for marketers. This increases the capability of them collaborating on content that will ultimately delight their followers hence organically targeting them. To do this, machine learning (ML) and natural language processing (NLP) are important technologies. This is because NLP and ML enable brands to come up with contextualization engine and also psychometric analytics which are important in identifying influencers. Take note that machine learning and natural language learning are branches of Artificial Intelligence. Advanced Artificial Intelligence algorithms enable brands to grade influencer conversations, identify potential risks associated with contracting certain influencers and help in pairing brands with the influencers that fit the brand’s personality. The advanced AI-powered influencer discovery platforms apply a broad range of filters to identify potential influencers who connects well with your brand. This is through the search terms or use of keywords related to your marketing campaigns and other metrics. Better matches when it comes to identifying the best brand evangelists will yield higher influencer marketing success rate. However, this is difficult to achieve if brands base their picks on number of followers that particular influencers have. Through the advanced methods like AI-powered influencer discovery marketers can hit their target of finding suitable influencers. The social media data makes this possible only if the Artificial Intelligence is applied. Consider the fact that automated systems using NLP are capable of breaking down the topics being discussed by the influencer. Further, the algorithm will quantify the influencer’s power on certain social media groups to be able to determine potential reach as explained earlier. With such profiling, the AI-powered influencer discovery platform will recommend a list based, on which the marketers can choose potential individuals. 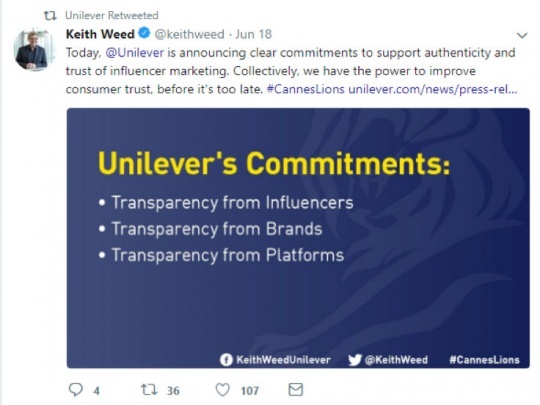 In June 2018, we saw Keith Weed a senior manager at Unilever sharing the company’s commitment to fighting influencer marketing fraud (The Drum). This shows how big the influencer fraud problem has become. This issue of influencer fraud involves social media influencers who buy followers, fake followers, use of bots and other dishonest business models within influencer marketing. A recent study found out that brands in the UK spend huge budgets for a single post on social media. Based on the attractiveness of the industry, it has attracted no genuine people who tend to buy followers so as to earn from the companies. The best approach through which brands can handle this influencer marketing fraud is applying AI-powered influencer discovery platforms. Through these platforms, there are better chances of identifying influencers who have genuine followers. 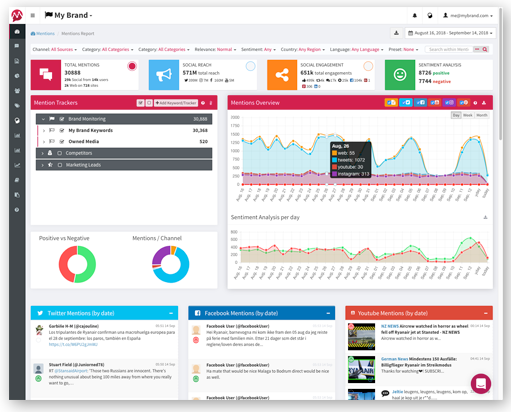 As illustrated in the above paragraphs, AI-powered influencer discovery platforms help businesses to apply genuine social data. Based on the analytics power of these platforms, the system suggests the best influencers that suit the particular campaign. Therefore, if your brand is using the AI-powered influencer discovery platforms, it is able to get genuine influencers. As a result, the marketing budget is used optimally and leads to higher returns on investment. AI-powered platforms have a better advantage in fighting fraud compared to the human-powered platforms. This is because the AI-powered platform relies purely on existing genuine data compared to human operated platforms that can be manipulated. Therefore, brands like Unilever that are struggling to weed out influencer marketing fraud should focus on AI-powered influencer discovery. This will ensure they are using influencers who have high potential followers, and also influencers that best match the campaign needs. Application of Artificial Intelligence in influencer marketing will enable marketers to discover potential influencers automatically. A lot of time goes into searching for influencers that suit particular campaigns. Despite the time spent, marketers end up not finding the most suited influencers at the first trial. It is important that marketers find an alternative to this. In this regard, we recommend the use of AI-powered influencer discovery platforms. Through such platforms, businesses have the ability to identify influencers quicker. We have seen that is it important that marketers focus on identifying best-suited social media influencers for their campaigns. However, it is difficult to do this without analyzing social media data. Doing this using human effort is not only impossible but also time-consuming. Therefore, it is necessary that brands invest in AI-powered influencer discovery platforms. It is easier and faster to identify best-suited influencer for campaigns. Ultimately, marketers save resources and achieve higher returns on investments. Consider that automated data analytics algorithms can dig deeper compared to human effort. Mostly, brands are blindfolded by influencer`s number of followers. As a result, they ignore other important indicators. These include the potential of influencer’s interest in the brand and also the influencer’s interest in the brand. Influencer marketing is one of the best marketing strategies. However, for brands to achieve the influencer marketing goals, they ought to ensure they use the best approach. This includes taking on modern-day technologies to improve how they implement influencer marketing. One of these technologies is Artificial Intelligence. Through the application of Artificial Intelligence in influencer discovery, brands can effectively eliminate fraud cases. We have seen international brands express their commitment to supporting transparency in influencer marketing. A good example is Unilever as illustrated above. A lasting solution would also be incorporating AI-powered influencer marketing as a good fraud avoidance strategy. Artificial Intelligence in influencer discovery also lets brands target social media influencers with followers who are interested in the brand. This is through the application of analytics techniques to identify the follower’s interests. Comparing this to human efforts, it is almost impossible since there is huge data that needs to be analyzed. In addition, AI enables discovering influencers through contextual relationships. Brands that apply AI-powered influencer discovery have the ability to identify most suited influencers. It is time that you take better charge of your influencer marketing campaigns. Adopting AI-powered influencer discovery platform enables you to achieve higher ROI. So, are you ready to use an AI-powered influencer discovery platform?